The brand name of your medication is Idanthra® and the generic name is Idarubicin Hydrochloride. 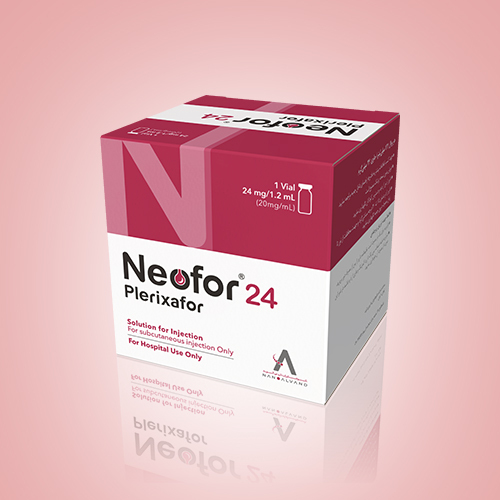 Idanthra® is an antineoplastic drug, which interfere with cancer cell growth and prevent cancer to spread in body. 1 Why is Idanthra® prescribed? 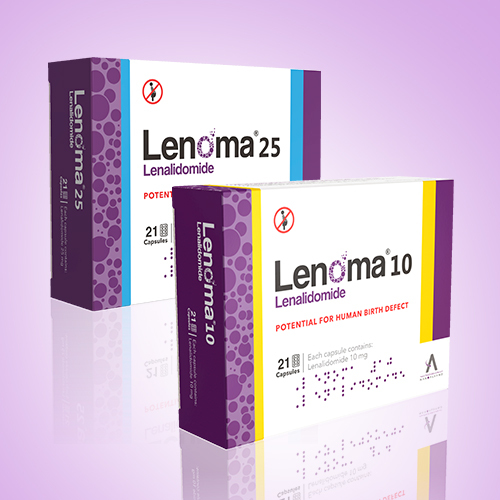 Idanthra ® is used for treatment of Acute Myeloid Lymphoma. 2 How is injection solution of Idathra® given? Idanthra® is usually given as an injection at your doctor's office, hospital, or clinic. If you are taking many parenteral medications, your doctor may put a very fine line (Catheter) in to your large vein and keep it during treatment. In this case injection would be through this catheter. If you have any more question about using Idanthra® talk with your doctor, pharmacist or health care professionals. 3 What special precautions should you follow during your treatment with Idanthra®? Idanthra® can pass into body fluids (urine, feces, vomit). For at least 48 hours after you receive a dose, avoid allowing your body fluids to come into contact with your hands or other surfaces. Caregivers should wear rubber gloves while cleaning up a patient's body fluids, handling contaminated trash or laundry or changing diapers. Wash hands before and after removing gloves. Wash soiled clothing and linens separately from other laundry. Avoid being near people who are sick or have infections. Tell your doctor at once if you develop signs of infection (Like fever, Shivering, sore throat and skin reactions). Talk with your surgent or dentist before any dental procedure or surgery. Taking Idanthra® can lower number of blood cells, which have function in immune system and blood angulation, hence risk of bleeding after injury or infection after contact with infectious patients will increase. 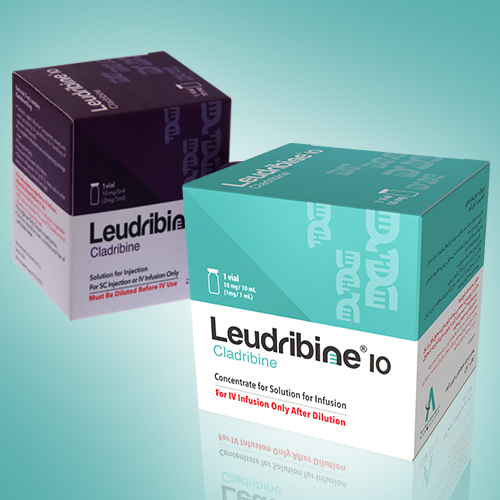 As LEUDRIBINE® can lower the number of blood cells, protect yourself from injury, bleeding and infection. Your doctor may run some blood test and liver, kidney function test during treatment. Your doctor may run some tests in order to monitor your heart function during treatment. Keep this medication also administration devices away from children and pets. Avoid using needles and syringes twice for administration of Idanthra®. 4 What would be the possible side effects of Idanthra®? Like all medicines, Idanthra® can cause side effects. This is not a complete list of all side effects of Idanthra® that may occur. For more information, contact your doctor or pharmacist. 5 What is the storage condition of Idanthra®? Store in refrigerator, between 2-8°C and away from light. keep in original outer carton). Product should be clear, red to orange and free of any particulate matters, unless avoid using the medicine. Product is for single use only. Discard unused portion. Idanthra® should never be used after the expiration date printed on the packaging. IDANTHRA® (IDARUBICIN HCL) Injection contains IDARUBICIN HCL and is a sterile, semi-synthetic, preservative-free solution antineoplastic anthracycline for intravenous use. IDANTHRA® is a sterile, red-orange, isotonic parenteral preservative-free solution, available in 5 mL (5 mg), 10 mL (10mg) and 20 mL (20 mg) single-use-only vials. IDARUBICIN HCL Injection in combination with other approved antileukemic drugs is indicated for the treatment of acute myeloid leukemia (AML) in adults. This includes French-American British (FAB) classifications M1 through M7. IDARUBICIN HCL Injection 12 mg/m2 daily for 3 days by slow (10 to 15 min) intravenous injection in combination with Cytarabine. The Cytarabine may be given as 100 mg/m2 daily by continuous infusion for 7 days or as Cytarabine 25 mg/m2 intravenous bolus followed by Cytarabine 200 mg/m2 daily for 5 days continuous infusion. In patients with unequivocal evidence of leukemia after the first induction course, a second course may be administered. Administration of the second course should be delayed in patients who experience severe mucositis, until recovery from this toxicity has occurred, and a dose reduction of 25% is recommended. In patients with hepatic and/or renal impairment, a dose reduction of IDARUBICIN HCL should be considered. IDARUBICIN HCL should not be administered if the bilirubin level exceeds 5 mg/dL. The benefit of consolidation in prolonging the duration of remissions and survival is not proven. There is no consensus regarding optional regimens to be used for consolidation. Caution in handling the solution must be exercised as skin reactions associated with IDARUBICIN HCL may occur. Skin accidentally exposed to IDARUBICIN HCL should be washed thoroughly with soap and water and if the eyes are involved, standard irrigation techniques should be used immediately. The use of goggles, gloves, and protective gowns is recommended during preparation and administration of the drug. Care in the administration of IDARUBICIN HCL will reduce the chance of perivenous infiltration. It may also decrease the chance of local reactions such as urticaria and erythematous streaking. During intravenous administration of IDARUBICIN HCL extravasation may occur with or without an accompanying stinging or burning sensation even if blood returns well on aspiration of the infusion needle. If any signs or symptoms of extravasation have occurred, the injection or infusion should be immediately terminated and restarted in another vein. If it is known or suspected that subcutaneous extravasation has occurred, it is recommended that intermittent ice packs (1/2 hour immediately, then 1/2 hour 4 times per day for 3 days) be placed over the area of extravasation and that the affected extremity be elevated. Because of the progressive nature of extravasation reactions, the area of injection should be frequently examined and plastic surgery consultation obtained early if there is any sign of a local reaction such as pain, erythema, edema or vesication. If ulceration begins or there is severe persistent pain at the site of extravasation, early wide excision of the involved area should be considered. IDARUBICIN HCL should be administered slowly (over 10 to 15 minutes) into the tubing of a freely running intravenous infusion of 0.9% Sodium Chloride Injection or 5% Dextrose Injection. The tubing should be attached to a Butterfly needle or other suitable device and inserted preferably into a large vein. Pregnancy Implications: Adverse events were observed in animal studies. Fetal fatality was noted in a case report following use in a pregnant woman during the second trimester. There are no adequate and well-controlled studies in pregnant women. If IDARUBICIN HCL is to be used during pregnancy, or if the patient becomes pregnant during therapy, the patient should be apprised of the potential hazard to the fetus. Women of childbearing potential should be advised to avoid pregnancy and adopt adequate contraceptive measures during therapy. Patients desiring to have children after completion of therapy should be advised to obtain genetic counselling first if appropriate and available. Lactation Excretion in breast milk unknown/ not recommended.